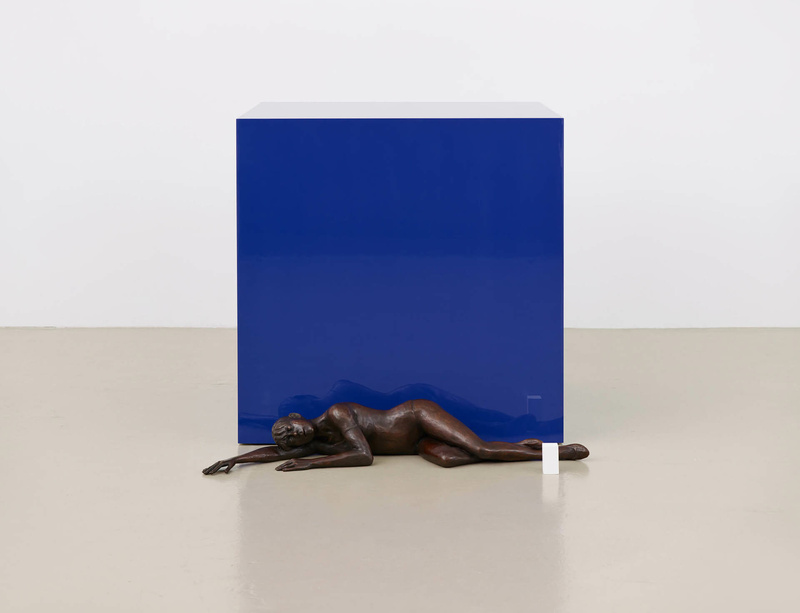 Curated by Ryan Gander, the exhibition 'Night in the Museum' offers a unique view of the Arts Council Collection in its seventieth anniversary year. For the exhibition, which first opens at Yorkshire Sculpture Park before touring to other venues around the UK, Gander has selected works from 30 different artists featured in the Collection, pairing figurative sculptures with other artworks containing the colour blue, which to Gander represents the abstract ideas often found in modern and contemporary art. The figurative works have been positioned to gaze on the other works, activating the sculptures and bringing them to life. The figurative sculptures on display contemplate a wide selection of art encompassing different styles and methods, allowing a radical and alternative view of post-war British art to emerge. Gander’s approach provides an entirely fresh view of the Arts Council Collection and of modern and contemporary British art. His show challenges traditional methods of selection and connoisseurship, prompting us to rethink the role of the curator, the art object and the spectator. Conventional histories and display techniques will be overturned with an engaging wit, yet always with a sense of empathy and a strong desire to prompt new narratives and relationships. A new work by Ryan Gander, As old as time itself, slept alone (2016), commissioned by the Arts Council Collection to mark its seventieth anniversary, also features in the show. The work is the latest in a significant series of sculptures in which Gander reimagines Edgar Degas’ famous work The Little Fourteen-Year-Old Dancer (1880-81) in different scenarios and stages in life, where the ballerina escapes her plinth and is freed from her limitations as an artwork. Drawing parallels to the themes of the exhibition, Gander employs the traditions of figurative sculpture to create a contemporary conceptual artwork. The exhibition runs from 16 July until 16 October 2016. Please click here for more information on the exhibition. Image: Ryan Gander, As old as time itself, slept alone (2016). A 70th Anniversary Commission for the Arts Council Collection © the artist 2016. Photo: Anna Arca.